Braves catcher A.J. 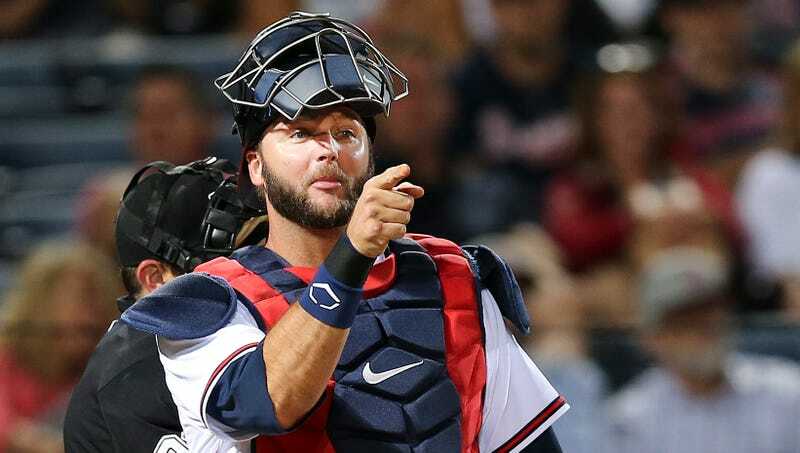 Pierzynski is getting good at this—though he hasn’t made it work quite yet. Keep at it! This one, from last night’s 5-1 loss to the Rockies, wasn’t quite so blatant: this pitch traveled 58 feet instead of 55. Which, if you’re a catcher trying to convince the ump it was a strike, just means you have to bring your mitt up into the zone instead of down.